Choosing the right nursery. | Then there were three.. 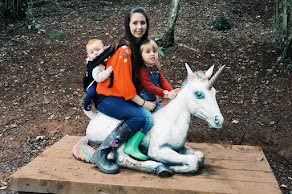 These days, times have changed and a lot of mothers do choose to return to work after maternity leave, with myself being no different. All in all, I took the full twelve months for maternity leave along with an additional seven weeks accrued holiday added on the end for good measure. Of course I understand that nurseries are not for everyone; there are other options such as childminders, grandparents etc. However a nursery was the best option for me. Choosing a nursery for your child should not be rushed or taken lightly. I've compiled a few things to consider when choosing your little one's childcare. First impressions will always count. Are the staff friendly and welcoming? Is the nursery clean? Do the children look happy and content? What is your gut feeling? All nurseries have to be registered and inspected. Usually the nursery will have their registration certificate displayed. If not, ask the manager if you can see it. You can also ask to see their latest inspection report. Flexibility: How much notice do the nursery require if your working hours suddenly change? Do they have emergency on the day slots available? Illness: Which illnesses will keep your child at home? What would be the procedure if your child falls ill at nursery? What is their procedure regarding medicines? Meals: Ask to see a sample menu. They should accommodate for vegetarian, allergies and intolerances. Security: Ask about their security procedures. Is there a certain procedure in place if someone other than the child's parent were to collect them? The nursery my daughter attends cannot be accessed without an electronic staff pass and passwords are set if someone else is due to collect her. Holidays: Find out when the nursery is closed or if they have reduced hours, such as Christmas and Bank Holidays. Don't try and save some money by going with the cheapest nursery - go with your gut instinct and choose the nursery you are happy with, even if it does cost more. Find out what is and isn't included in your fees, such as meals, milk, nappies etc. The majority of nurseries will offer induction trials to see how your little one copes. This is also a great opportunity to see how you as a parent will also cope. Usually two inductions are offered , both of which the parents can stay for if they wish. You would be introduced to your child's keyworker who can answer any questions you may have. These inductions would last a couple of hours and if successful you will be provided with a set start date for your child. I would also advise to label certain items such as bottles, cups, dummies etc. This will help to ensure that cross contamination doesn't occur. I really hope that these tips help when looking into different nurseries for childcare. I've been lucky with my nursery experience being a very positive one. The staff are lovely and my daughter's keyworker is fantastic. Your child going to nursery is going to be a major step for both you and them, but it certainly doesn't have to be a negative one.